Fine Jewelry Repair - Simply the Best! Your jewelry deserves the best jeweler. 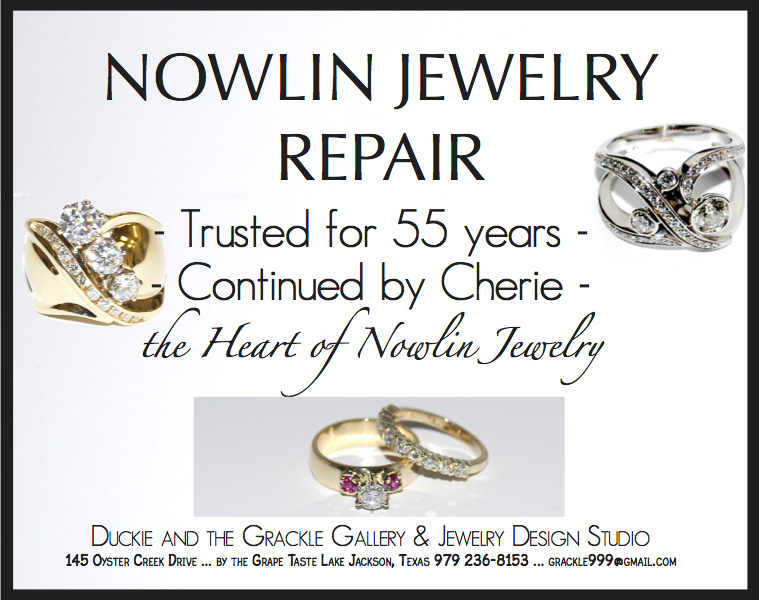 Duckie with her years of experience and contacts from Nowlin Jewelry is acknowledged as simply the best. Let Duckie become your family jeweler. Bring in your jewelry that needs a little attention. At a minimum, let us check your prongs once per year.